Box truck with license plate 8D92733 has been in the same spot since at least April 7. It was not moved for street cleaning Thursday April 11. OAK 311 has received this issue. Your service request ID is #895488. Please check back for status updates, or contact us directly at 510-615-5566. Note: this is a 25k gross lb vehicle, in violation of the posted street sign that limits vehicles to 10k lbs. The truck was not moved for street cleaning again today. Thursday April 18. There is no evidence that the truck was ticketed either day for not moving during street cleaning. Truck was not moved again for street cleaning today, April 25. It does not appear to have been ticketed. Waste Management Green barrel pick up has NOT been picked up for 3 weeks. Resident is 93 yrs old and she was told that the green waste management container was too heavy. The green container only has grass and weed cuttings from the yard. The first week the city workers said it was contaminated, now they won't empty the container because they say it is heavy. This is unacceptable, please have someone empty the green container ASAP. Thank you. Address: 673 42nd St. Oakland, CA 94609. OAK 311 has received this issue. Your service request ID is #899091. Please check back for status updates, or contact us directly at 510-615-5566. This has been like this with graffiti growing for two months! OAK 311 has received this issue. Your service request ID is #899040. Please check back for status updates, or contact us directly at 510-615-5566. Thank you for your request. According to our system, we already have an open service request of this kind at this location. Your request has been combined with service request #899026. If you would like to check the status of the request, please contact OAK 311 at 510-615-5566 or OAK311@oaklandnet.com. This issue can also be followed by watching http://seeclickfix.com/issues/5758029. 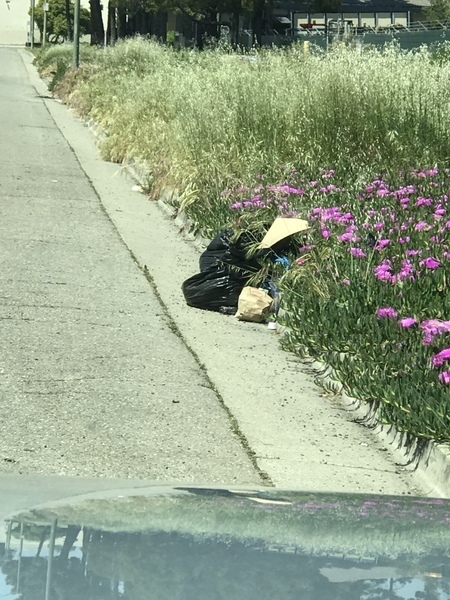 The City of Oakland addressed this issue on 04/25/2019, service request #897502. OAK 311 has received this issue. Your service request ID is #899094. Please check back for status updates, or contact us directly at 510-615-5566. OAK 311 has received this issue. Your service request ID is #899093. Please check back for status updates, or contact us directly at 510-615-5566. OAK 311 has received this issue. Your service request ID is #899092. Please check back for status updates, or contact us directly at 510-615-5566. New garbage pile left on Leet St.
OAK 311 has received this issue. Your service request ID is #899090. Please check back for status updates, or contact us directly at 510-615-5566.
more photos. When this cleaned up, please pick up the other garbage up and down the street. When complete, please send a supervisor out to see if the cleanup is satisfactory. I think you’ll be surprised. OAK 311 has received this issue. Your service request ID is #899030. Please check back for status updates, or contact us directly at 510-615-5566. Thank you for your request. According to our system, we already have an open service request of this kind at this location. Your request has been combined with service request #898544. 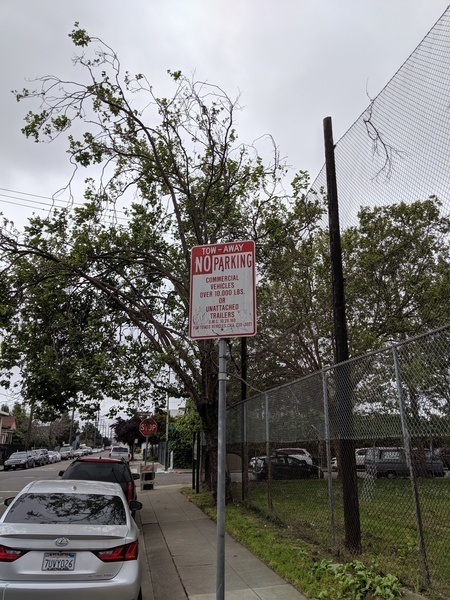 If you would like to check the status of the request, please contact OAK 311 at 510-615-5566 or OAK311@oaklandnet.com. This issue can also be followed by watching http://seeclickfix.com/issues/5751441.